UPDATE: The Traditional 2018 planners are no longer available for purchase, but an 8.5×11″ July 2018 – June 2019 planner is now available to order! How is it that 2017 is 80% finished? They say that life goes faster the older that you get, and the fact that 2017 is flying by is proof. Must. Stop. Blinking! Thinking back to my four New Year, New You areas of focus shared in January on this blog, I see areas of success. Sadly, I also see goals that got pushed back due to busyness and laziness. Thankfully, I still have 20% of the year to bring those goals to fruition. Instead of focusing on the negative, for the next two weeks we are going to focus on various products that have had a large impact on my successes this year and in helping me meet my goals. My search led me to the iBloom planner. I have enjoyed using it and am thankful how it has helped me be intentional with my time. But because I found that I didn’t use a lot of the “extras” in the planner and because of the steep price ($60), I headed back to Amazon to search for other options. To my surprise, I couldn’t find a planner that I liked. Not one. Create a planner for all moms. One that is simple and affordable to help moms around the world Be Intentional. And so I started building what I felt would be the perfect planner. I sought advice from ABCJLM users and dear friends. While I found varying preferences, I took all the suggestions, rolled them in prayer, and created the first Be Intentional Planner. The Be Intentional Planner is a 7″ x 8.5″ wire-bound, 12-month notebook made up of yearly and monthly calendars, weekly layouts, and note sections. The smaller size makes it perfect to carry or place in your purse while still providing plenty of room to write important details. 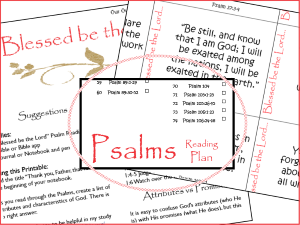 Example pages provide ideas to best use the planner but freedom is given to personalize the pages to your needs. Clear plastic covers will protect the planner for a year’s use. At the beginning are 12 monthly calendars. Use to organize activities, appointments, and vacations. Having the calendars side-by-side makes it easy to move from one month to the next. 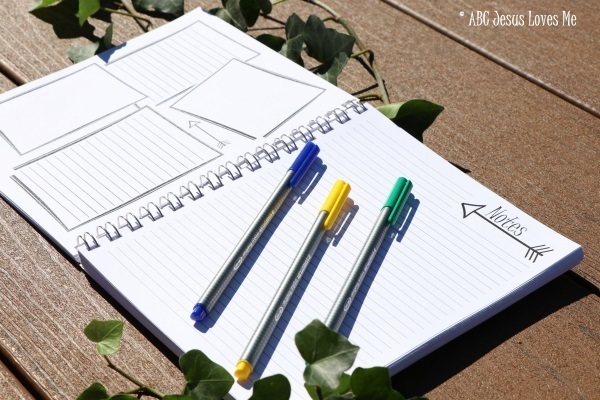 Scattered throughout the planner are Note Sections providing space to make lists, track thoughts, record phone conversations, and note memories that you don’t want to forget. This is my favorite section of the planner as it guides daily activities and focus. Provided is space to write hourly activities, a to-do list, and basic menu planning. Also provided is space for a shopping list and an area for tracking the progress of goals. 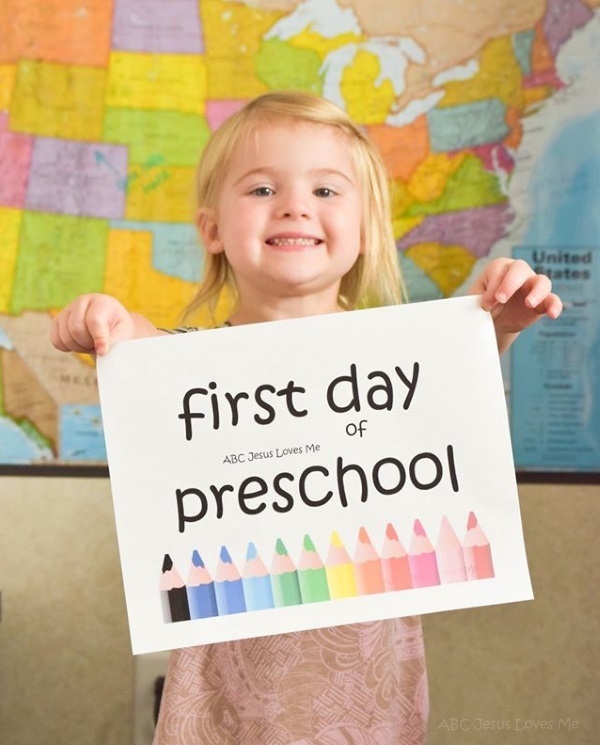 Example goals could be centered around using the ABCJesusLovesMe Preschool Curriculum, reading with your child, eating healthy, exercising, having a Quiet Time, drinking water, or any other goals that you have. Because we are commanded to Love God and Love Others (Mark 12:30-31), the planner includes “Be Filled” and “Be Intentional” sections. Write a memory verse or thought, take notes from the sermon, or focus on your spiritual life in the “Be Filled” section. 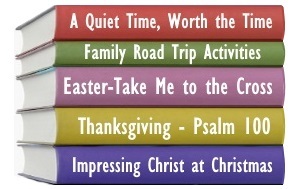 This could also be used for your daily quiet times. “Be Intentional” is the space to write how you will love others that week. Jot down prayer requests, activities you want to do with a child, or teachable moments to look for throughout the week. Why Use Paper in an Electronic Age? When I initially gathered thoughts toward the “perfect” planner, I received questions about my archaic desire to use a paper planner. I mean…With all of the technology available why would a person choose to step back in time? I thought the same thing prior to using a paper planner. But having a pencil and pen planner has been a time saver for me. It also aids in my goal to use my smartphone less, especially when my children are around. I’ve found it is much easier to grab a pencil and write down my thoughts than find my phone, log in, and open the various needed apps. Next, having a planner helps me see the big picture. It is hard to see everything on a small screen. 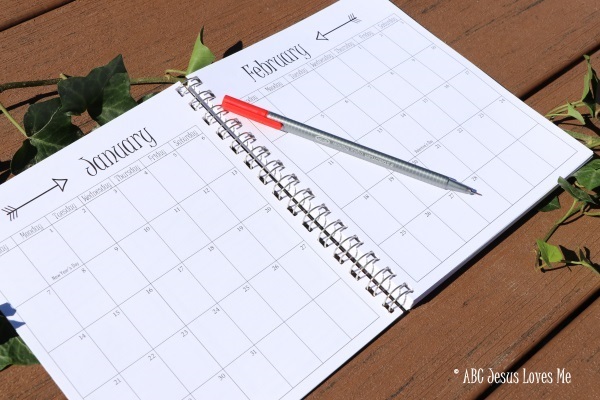 The Be Intentional Planner combines needed data and dates instead of requiring several components to track calendars, to-do lists, and other things important to me. In my research, I found many of the top planners cost between $50 – $60. While their colored pages and fancy design are alluring, they are expensive. In dreaming about creating a planner I wanted to design something that all women could use regardless of their season of life, that would help them be intentional, and one that would fit into all budgets. Sticking to my mission, the Be Intentional Planner only costs $15. 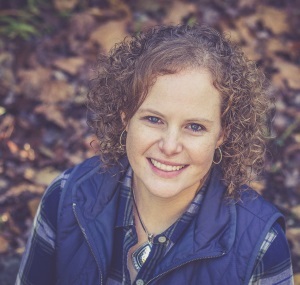 The Be Intentional Planner is perfect for yourself or as a gift for family and friends. But don’t wait to order. Because of the dated material, the Be Intentional Planner will only be available for a limited time. 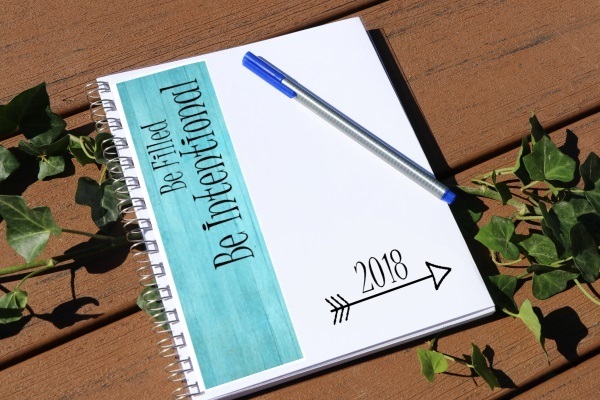 The Be Intentional Planner is a wonderful gift idea for friends, teachers, family, and co-workers. 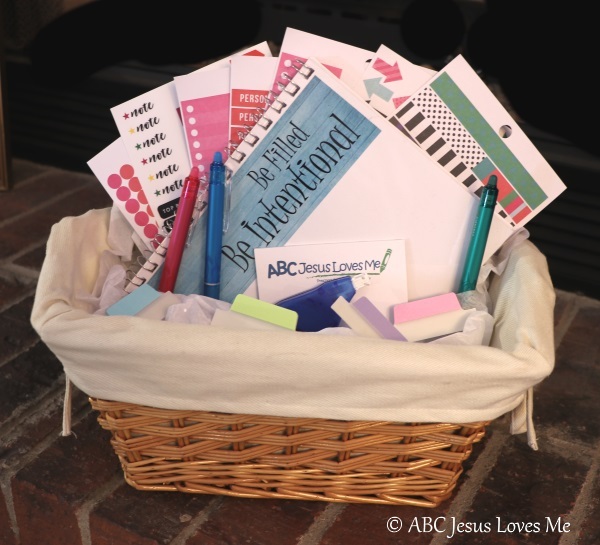 Combine with the following supplies to create a simple gift basket. Click to see all suggested products. Erasable Pens – My daughter loves these pens! Cleanly erases all writing. AMAZING!!! *I have learned that these pens are affected by heat (the ink disappears) so don’t leave writing by these pens in a hot car. If the ink disappears, I’ve been told you can place the planner in a bag in the freezer and the ink will reappear. Planner stickers – Add some fun to your planner with colorful stickers to denote important dates. Binder Clips or Paper Clips – Find important pages in the planner with decorated clips. Sticky notes and Assorted sets – Make important info transferable with sticky notes. Divider Sticky Notes or Post-It Tabs – Leave a note and index specific pages. Join me on Facebook Today at 1:00 CST for a LIVE Broadcast where I will show you the planner and answer any questions that you have. 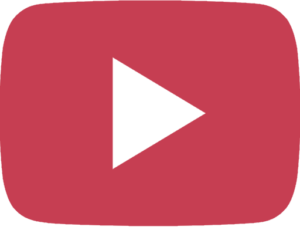 As shared in the Live Broadcast (view above)…Because the covers are doubled, tape or glue the cardstock together at the bottom to create two pockets. Perfect for holding cards, receipts, or important papers. 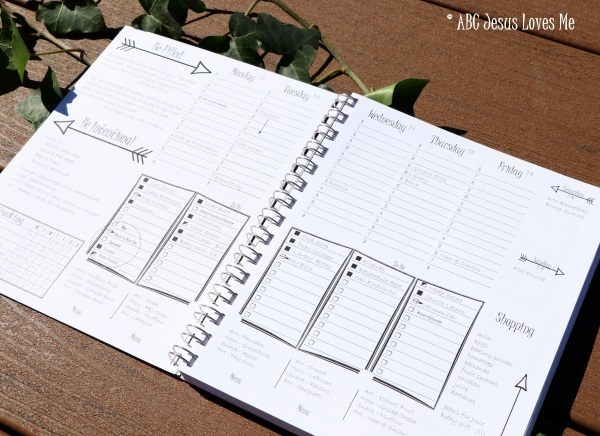 The Be Intentional Planner is available to order for $15 on any of the ordering pages at ABCJesusLovesMe.com for both family and business use, and can be shipped worldwide. You can also download a free sample of the December weekly schedule. This makes me so happy! I, too, have searched for the perfect planner. One year, I had one I loved that had the meal planning included, and then it seems Mead stopped publishing it and I have been making do ever since. I’m ordering my planner right now and I will encourage others to do the same! So glad you like it and thank you for sharing with others! I’m super interested in this. Would you consider releasing an academic calendar version (August-July)? Being a professional teacher turned homeschool mom, it’s just not practical to use a January-December calendar. I tried and got frustrated. You mentioned in a video or FB post that you would have a link to a sample page to start our planning in December. I have already purchased the planner. Can you direct me to that? While we have had a lot of traffic today :), I just checked and everything is up and running. My planner arrived yesterday and I am so eager to begin using it!! Yeah!! Excited to hear what you think!! I’d like to add to the voice for an academic year calendar (Aug-July). Also, to make it even more perfect allow for blank dates the user can add in and create the month and dates. I completely agree with this comment!